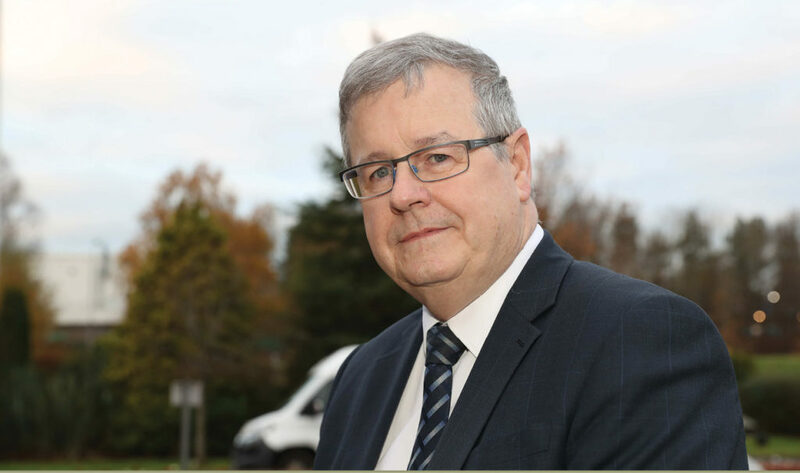 Agri-Food Strategy Board Chairman Tony O’Neill has raised concerns that the UK’s desire for cheap food could be detrimental to Northern Ireland’s agri-food sector in the context of new trade deals. The public good element of the production practises followed by livestock farmers in Northern Ireland, on the back of current EU welfare and environmental regulations, works out at £2/kilo – from a beef perspective, says O’Neill. O’Neill suggested that the UK will initially strive to seek trade deals with other Commonwealth countries, such as New Zealand and Australia, once Brexit becomes a reality. The AFSB representative highlighted the importance of agri-food to Northern Ireland’s economy. “The food and drink processing sectors have a combined annual turnover in the region of £4.6 billion,” he explains. “Northern Ireland is a net exporter of food products with 73 per cent of sales classified as exports. Of these 25 per cent are outside of the UK. The contribution of agri-food to Northern Ireland’s Gross Value Added is 40 per cent higher rate than that achieved across the UK as a whole. “Agri-food is the cornerstone of our rural economy, employing people in the food processing, supply, engineering, transport and primary production industries. O’Neill states that farming and food have been ring-fenced within the economic strategy for Northern Ireland as sectors with great potential for growth. “It was this recognition that led to the initial development of AFSB,” he said. The role of AFSB is to provide members of the Stormont Executive with strategic advice, taking account of the wide range of sectors and stakeholders. Its responsibilities are to offer advice on issues relating to the agri-food industry in Northern Ireland, taking account of the views of all elements of the food chain and to develop the Focus on Food strategy into a long-term strategic vision for the agri-food sector. AFSB will offer advice to relevant government departments on how the agri-food strategy and its strategic outcomes can be achieved and on the resources necessary for delivery. It contributes to the development of associated annual operational plans, targets and key performance indicators while reaching agreement with a range of stakeholders on their roles in delivery. 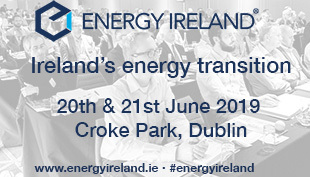 “We also help monitor the performance of the sector against targets and identify any necessary remedial action,” says O’Neill. grow by 60 per cent to £1 billion the total added value of products and services from local companies. “We are making considerable progress, where these are concerned,” he adds. “We have seen the development of the Farm Business Improvement Scheme, worth up to £250 million, which will provide farmers and growers with a range of support for training and skills development, innovation, co-operation, and capital investment. “We are progressing the development and delivery of a Livestock Genetics Data Hub which will drive forward economic gain for the sector through improved genetics, health and competitiveness. 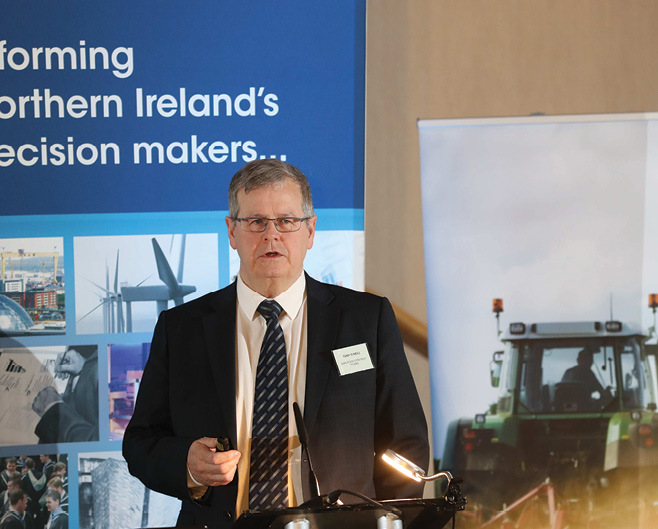 Industry has also worked with InvestNI to establish the Agri-Food Quest Competence Centre, a collaborative research and development centre to support strategic research projects. “Work is ongoing on the establishment of a strategic marketing organisation to bring together marketing and promotional activities, supported of course by our success in securing access to new markets and the Food Fortress Scheme which underpins the safety and traceability of our product. “Our industry continues to operate within a volatile economic environment. We recognise that this provides many challenges across the industry, and has impacted our ability to grow but it is important to remember that it has not stopped our growth. Indeed, this as an opportunity to bring industry together, and work closer with our stakeholders. O’Neill also highlights the need for Northern Ireland’s voice to be heard in the context of the upcoming Brexit negotiations. “There must be no double standards employed by Whitehall. UK retailers must accept the same welfare and environmental criteria from food importing countries as they currently demand from primary producers and processers in this part of the world. O’Neill says that Brexit should not be regarded as a lose:lose scenario for farming and food in Northern Ireland. “The reality is that the UK as a whole is only 60 per cent self-sufficient in food and within this context the local farming and food industries have a key role to play. “Agriculture is a devolved matter within the UK. So politicians at Stormont have the opportunity to take the Brexit issue and develop it along lines that best meet the needs our own agri-food sectors.